The State Foundation for employment Training (FUNDAE) is a Spanish governmental foundation charged with promoting and coordinating the implementation of public policies on professional training in the area of employment and labor relations. Leading trade union (CCOO, UGT and CIG) and business (CEOE, CEPYME) organizations participate on its board, along with the autonomous communities and the Spanish Central Administration through the State Department of Employment. 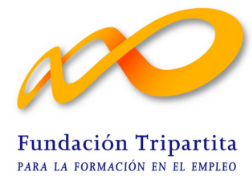 Prior to 2015, when the employment training system was reformed, it was known as the Tripartite Foundation for Employment Training. MondragonLingua, as the organizer, manages the subsidies that companies are eligible to receive. WHAT ARE THE SUBSIDIES FOR TRAINING? Subsidies are in the form of discounted Social Security contributions available to companies that invest in employee training. All companies have an annual credit assigned that they can invest in training, which later gives them access to subsidies in the form of discounted Social Security contributions. Assistance for training actions in companies is processed using the ”Company-scheduled training” computer application. 20% – companies with up to 5 employees. 15% – companies with between 6 and 9 employees. 10% – companies with 10 or more employees. At MondragonLingua, we offer training modules that are planned according to the needs of your company and departments. Ask us and we will help you design the best customized program for you, taking into account your subsidy options. WHAT REQUIREMENTS MUST MY COMPANY MEET? The company is up to date on its Social Security obligations and with the Tax Agency. The company has not depleted its annual training credit. Students must be hired as employees and make contributions to the General Social Security Scheme. Students must attend at least 75% of the duration of the course. The course must not have a duration of less than 2 hours. An employee may not participate for more than 8 hours a day. Training must be free for participants. The company must keep daily records of employees attending the course. HOW MANY FORMATS ARE OFFERED? Classes may be classroom-based, online or a combination of the two (blended learning format = classroom-based plus online learning.). Basic: provides skills to develop basic competences and qualifications and/or in cross-disciplinary or generic subjects. Advanced: subjects that imply a specialization or provide skills to develop administrative or managerial competences. The course must be paid for by the company in order to justify that it was held and to be able to access the corresponding subsidy. The subsidized amount can be deducted from a later Social Security contribution payment in the same year. WHO MANAGES THESE COURSES? DO WE NEED A MANAGMENT COMPANY? Each company can register a course at least 7 calendar days before it starts and manage it on the Tripartite Foundation platform. However, if you wish to use an organizing body, MondragonLingua can take care of all the arrangements for you. When should I let you know? If you are interested in subsidized training, we recommend allowing one to two weeks to schedule it and for arrangements to be made with the organizing body, if you want us to manage your course; it is also necessary to wait one week after registering the course on the platform, for a total of 2/3 weeks. In this case, please let us know as early as possible. MondragonLingua encourages you to consult the wide range of training courses we offer. Get started with us and together we can schedule training that is adapted to the needs of your company. Do not hesitate to consult us for any information you need! and give you all the information you need. Call us and tell us about your needs and we will find the solution best suited to you.